This little red fox will hold your cards, ipod & change! Customised sizes for phone models are also available on request. 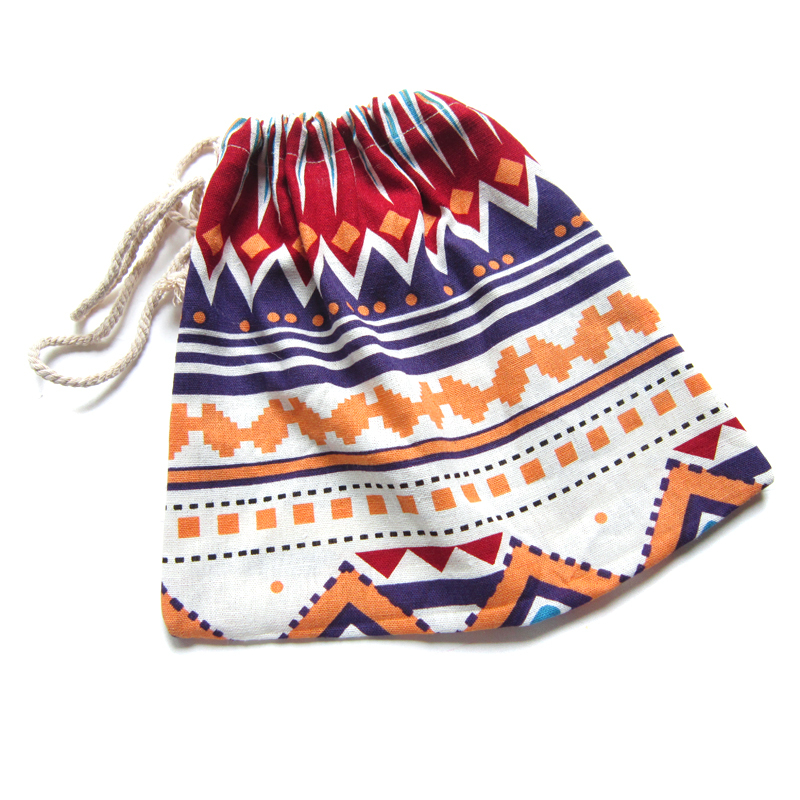 Great for stashing pens, pencils, or even your makeup & daily necessities! Tribal fan? Drawstring bags are great for storing all sorts of stuff. What would you put in here?